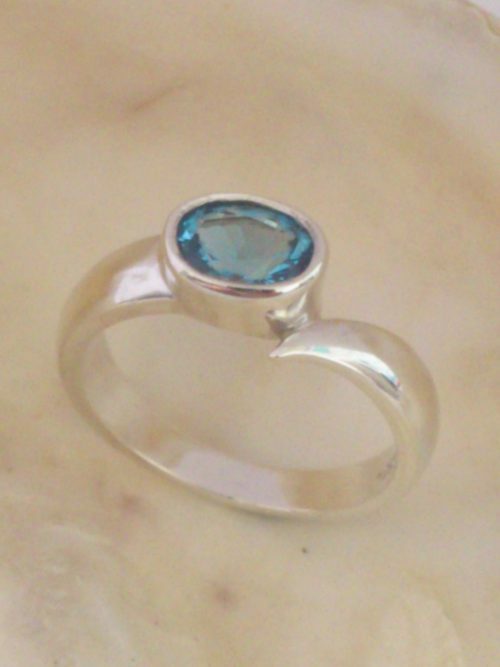 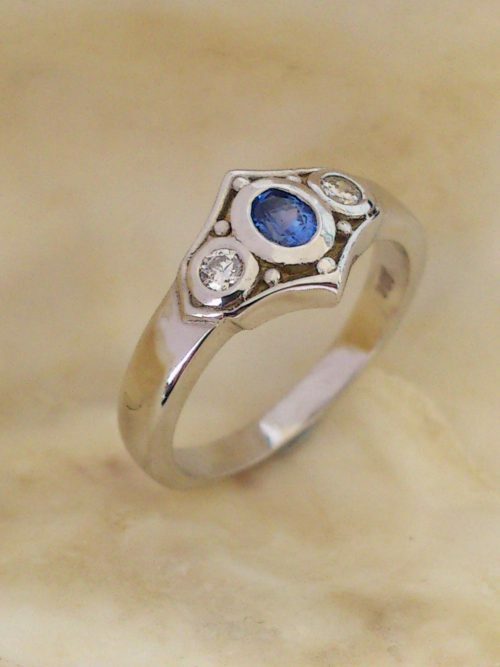 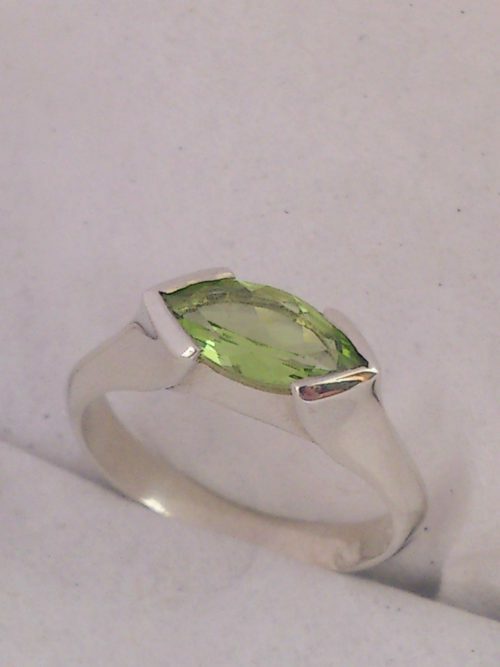 A bold and stunning 9ct white gold dress ring. 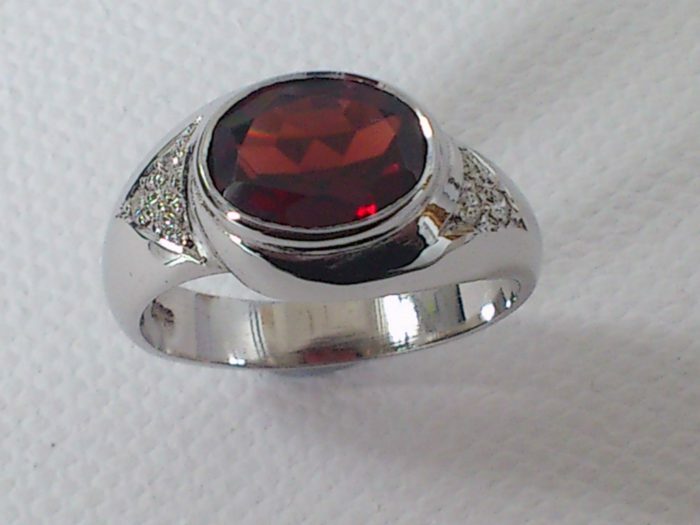 A bright red oval 8x10mm African garnet is set in a rub-over setting positioned horizontally across the ring. 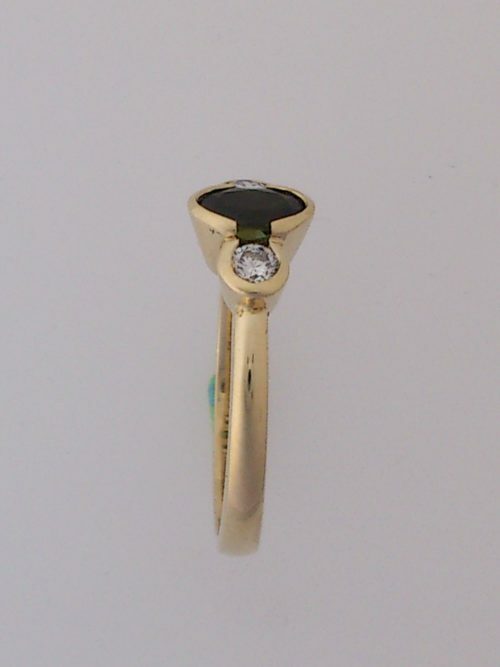 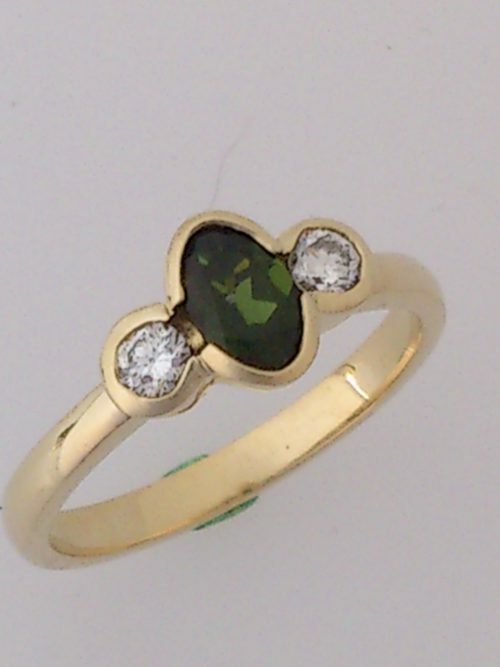 The wave like wide tapered rounded band is set with 6 x .02pt diamonds.